Have you seen the NEW ZipList? 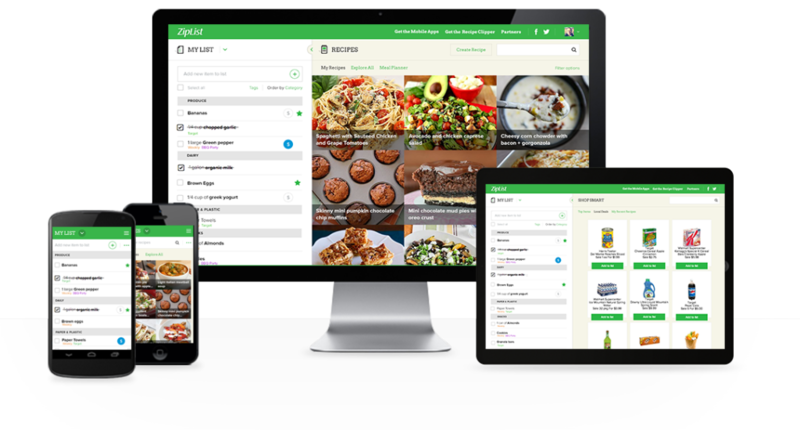 Are you using ZipList to find and save recipes, create shopping lists, and find deals anytime and anywhere? 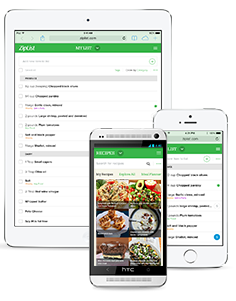 Sign up for ZipList and access your recipes and shopping list from any web browser, or mobile device while on the go. Save favorite recipes by clicking the ‘Save’ button, or use the ZipList Recipe Clipper to save recipes and add ingredients to your list from any site on the web. Love it. Save it. List it. Don’t forget it! 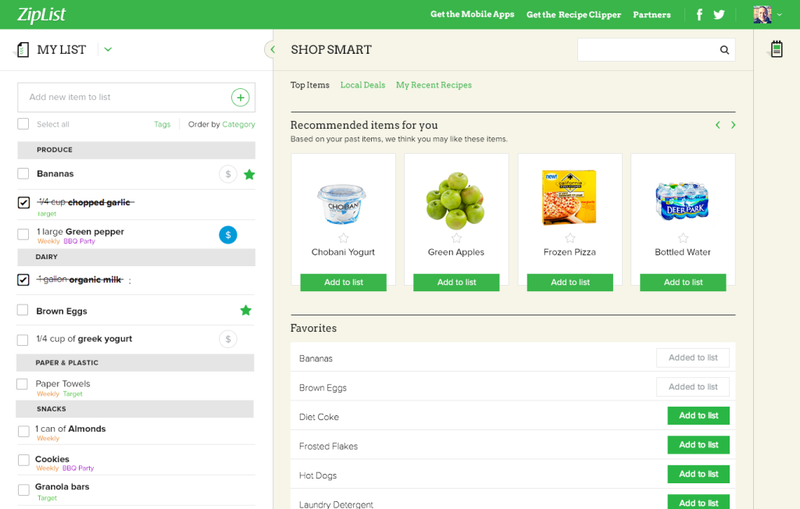 The must-have grocery list app now has a BRAND NEW LOOK and many NEW FEATURES that will make your life even easier! ZipList is nowfully optimized for smartphone and tablet views making it easier to use anytime and anywhere. Its new design is rich with new features and easier to navigate. You can even view your list and recipe box at the same time. How cool is that? 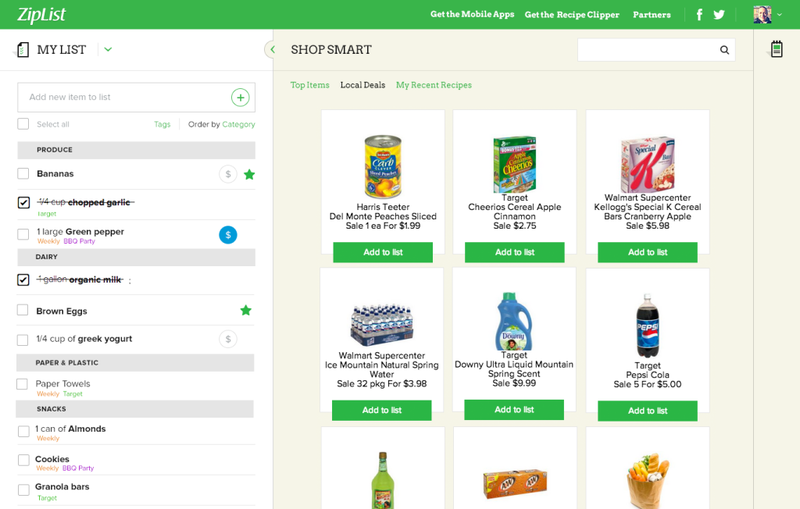 Check out ZipList’s SEVEN new features that will help save you time and money as you plan meals and shop. Why? Stop flipping between your saved recipes and your shopping list. Quickly add recipes to your list and add other essentials (like paper towels) all in one place. How? Visit our new half list, half recipes view on your desktop and tablet device each time you come to the site. Why? Organize items by store, party, project, or however you please to get in and out of the store faster. How? 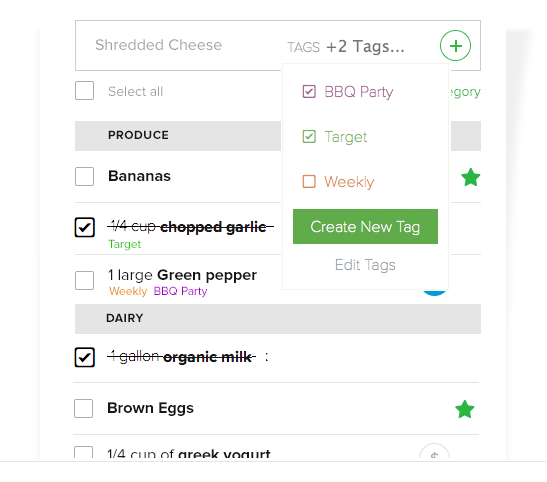 Manage List Tags to create tags by how you like to organize the items on your list (ie: Publix, Rite Aid, Football party, etc). 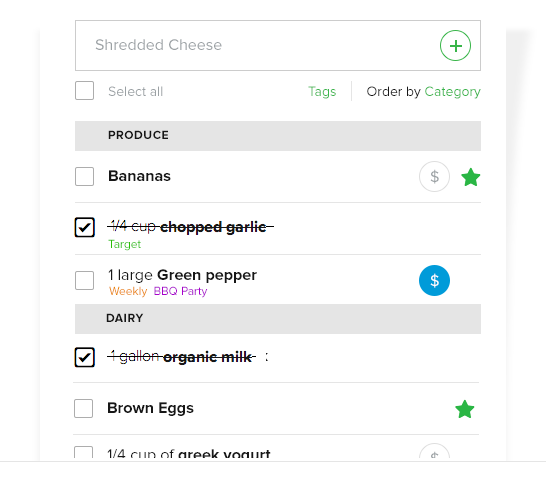 Then, when you add an item or recipe to your list, select a tag to stay organized. Why? Never forget a must-have item. How? Check off an item from your grocery list too see it crossed off from your list. As soon as you need to delete it from the list completely, put it into the trash. Why? Save money on items you are going to buy. How? Visit Local Deals to see deals at nearby stores. Add stores and a zip code to your Store Settings to only see deals at the stores where you shop. You will also see a $ icon on your list indicating there is a deal for an item on your list at a nearby store. Why? Save time by using the same grocery list over and over. How? On your list, click the star next to an item to favorite it. Visit the Shop Smart page to view your favorites and quickly add them to your list. Why? Always know which ingredients go with which recipes so you can meal plan on the go. How? Within your List, order your list by ‘Recipes’. #7) View Recent Recipes to see the recipes you’ve added to your list. Why? Keep the recipes you’ve shopped for in one place so you know where to find them to make them again. How? Visit the My Recent Recipes page in the Shop Smart section of the site. Visit the new site and don’t forget to pick-up your own free version of ZipList’s FREE iPhone and Android apps. Anytime you add a recipe or item to your shopping list, ZipList syncs your app with your ZipList.com account, so you and whomever you share your list with are always up to date and never miss a thing. I was a little shocked when it first came up but I love it as usual. Great information about the new version. Kudos to you! I am a huge fan of ZIPLIST. Have a great day! Glad this was helpful :) you have a wonderful day yourself! !